I have fallen in love with my friend's new shop Simply Gorgeous. Hand painted furniture that she so talented, strips, sands and paints herself. On my very first sneak peek, just before she opened I bought this old sewing station! Well I justified it, by asking my husband for it for my birthday next month, but as it's already in the lounge I am hoping he's forgotten and picked something off my Pinterest wish list board! Just along from Southbourne, where my grandparents have had a flat for the past 35 years, is the quaint town of ChristChurch, built around a Priory. I picked up this leaflet in Thomas and Lucia for furniture painting workshops. I wish I had the talent to strip back and revive old furniture, and even more, I wish we lived nearer, so I could attend one of the workshops! 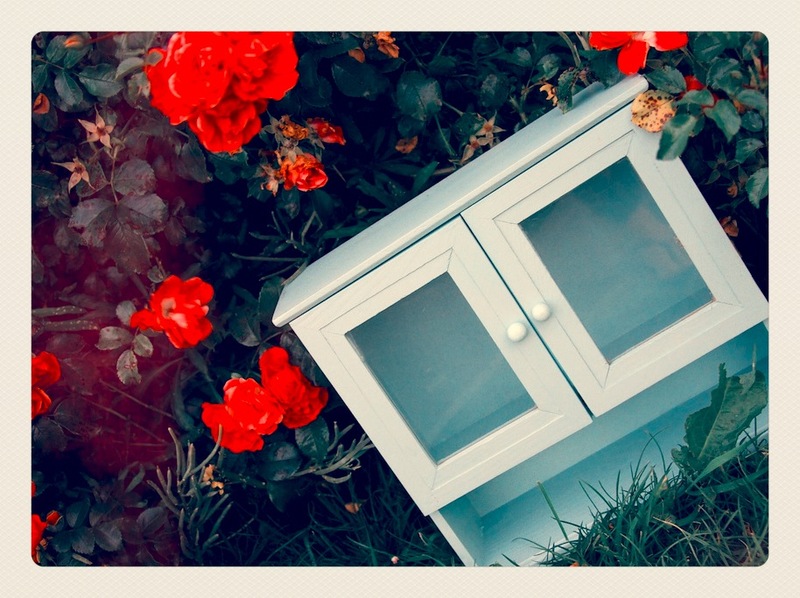 At the local car boot sale this Sunday (I had to get the kids out for half an hour whilst my husband loaded the car with old junk from the garage to head to the recycling centre) I spotted this sweet little cabinet. I am going to use it as my first attempt at painting my own! Shame really as I love the colour! Typical!